Plants are highly sensitive to UV-B radiation because of their sessile nature. In plants, UV-B radiation damages cell membranes and all organelles within the cell, including the chloroplasts, mitochondria, and deoxyribonucleic acid (DNA) within the nucleus. Damage to these cell organelles directly or indirectly affects basic plant metabolic processes, such as photosynthesis, respiration, growth, and reproduction. Consequently, UV-B damage harms crop yield and quality. An overview of various processes affected by UV-B radiation at cellular and plant levels is presented in Tables 14.1 and 14.2. However, the effect of UV-B radiation varies with intensity and duration of irradiation and stage of plant development. In addition, sensitivity to UV-B radiation varies widely among plant species and cultivars of the same species. Studies on physical or physiological reasons for differences in tolerance to UV-B radiation among species need further attention. Ultraviolet radiation is efficiently absorbed by most organic substances, which causes many photochemical reactions in the living cells. The nucleus of each cell consists primarily of genetic material in the form of DNA. Nuclear DNA is inherently unstable and can be damaged by spontaneous or metabolically induced changes generated by environment. DNA is highly sensitive to UV-B radiation which can cause damage resulting in heritable mutations if not repaired and thus, can significantly influence various physiological processes. DNA is considered the primary absorbing compound in the cell in the UV-B region of the spectrum. Exposure of DNA to UV-B radiation can result in: (1) breakage of bonds in the DNA and DNA-protein cross links; (2) chromosomal breakage; (3) chromosomal aberrations; and (4) exchange and production of toxic and mutagenic photoproducts (e.g., cyclobutane pyrimidine dimmers (CPDs), 6, 4 pyrimidine- pyrimidone or 6, 4-photoproduct, thymine glycols, and pyrimidine hydrates). These changes in DNA alter transcription, replication, and recombination of genes and cause significant changes in plant metabolic and genetic processes. Proteins, membrane lipids, and other essential substances in the cell can also be altered through exposure to UV-B radiation, resulting in protein degradation and lipid peroxidation. These damages influence genetic makeup and affect protein synthesis, enzyme activities, and gene expression. All cellular life-forms possess DNA repair enzymes that recognize chemically modified bases, including those formed by UV radiation. Furthermore, cells have evolved through a variety of biochemical mechanisms to restore the integrity of the genetic material after DNA damage and retain its stability. These processes are called "DNA repair mechanisms." There are two main mechanisms of DNA repair of CPDs and 6, 4-photoproduct, photo repair, and dark repair. In photo repair, the enzyme photolyase mediates the repair by forming a complex with the CPDs and 6, 4-photoproducts in a lesion-specific matter that is stable in the absence of light. In dark repair, the 6, 4-photoproducts are removed from the DNA by nucleotide excision of the damaged oligonucleotide, gap-filling DNA synthesis, and restore ligation in the correct pairing order (Sancar, 1994). Exposure to UV radiation can result in changes in the ultrastructure of various cellular components in many plant species. Ultrastructural changes are generally caused by damage and dilation of the nuclear membrane. UV-B radiation causes damage to chloroplast structure through swelling of chloroplasts, rupture of the chloroplast wall, dilation of thylakoid membranes, disruption of the thylakoid structure, and disintegration of the double membrane that envelops surrounding chloroplasts accompanied by the accumulation of large starch granules (He et al., 1994). It is also known to cause swollen cisternae in the endoplasmic reticulum, damage to the mitochondria and plastids, and vesiculation of plasmalemma and tonoplasts. 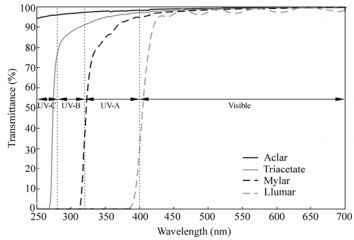 In addition, UV-B radiation alters cell shape and structure. These changes in ultrastructure can potentially affect various physiological processes, such as cell division, photosynthesis, respiration, and reproduction. However, plants have some defense and repair mechanisms that help minimize and deal with expected damages at the cellular level by removing or repairing damaged parts, and at the whole-plant level by producing UV-B absorbing compounds and pigments in leaves. These compounds mainly include flavonoids and anthocyanins, which are accumulated in the vacuoles of the epidermal and subepidermal cell layers. (2) impairment of light energy transfer (i.e., electron transport system of photosystem II (PS II) and to a lesser extent, photosystem I (PS I); (3) decrease in activity of Ribulose 1, 5-bisphosphate carboxylase/oxygenase (Rubisco); (4) decreased carbon dioxide fixation and oxygen evolution; and (5) decreased starch and chlorophyll content. Components affected in PS II are the water-oxidizing system, light-harvesting complex, and synthesis of chlorophyll a/b-binding proteins. Exposure to UV-B radiation decreases both activity and concentration of Rubisco. UV-B inactivation of Rubisco could mainly be due to modification of the peptide chain, degradation of the protein, and/or diminished transcription of the gene. As indicated previously, almost every facet of photosynthetic machinery can be directly or indirectly damaged by exposure to UV-B radiation. However, electron transport mediated by PSII appears to be the most sensitive (Fiscus and Booker, 1995). Within PSII, all parts from the Mn binding sites to the plastoquinone acceptor sites on thylakoid membrane are sensitive. In addition to the direct effects of UV-B radiation, photosynthesis may also be indirectly affected by: (1) induction of stomatal closure; (2) decreased individual leaf area and total canopy leaf area; (3) changes in leaf thickness and anatomy; and (4) changes in canopy architecture and morphology. All these changes can potentially decrease light interception and gas exchange, which results in lower canopy photosynthesis. However, the stomatal closure mechanism reduces evapotranspiration water losses and increases water use efficiency, which leads to increased plant growth and yield. Although UV-B radiation constitutes a small portion of the solar spectrum, it induces a range of strong morphological effects in plants, including leaf thickness, leaf discoloration, cotyledon curling, inhibition of hypocotyl growth, stem and leaf elongation, axillary branching, and shifts in root-shoot ratio (Jansen, 2002). In most plant species, leaves exposed to UV-B radiation initially develop irregular patches (Fig. 14.3). With continued exposure to UV-B radiation, these chlorotic patches become brown necrotic spots and die (Singh et al., 2008a). The appearance of chlorotic and necrotic patches is generally attributed to decreases in leaf chlorophyll content (Zhao et al., 2003). Elevated UV-B radiation can result in slower stem extension rates, shorter internode lengths leading to shorter plant height, decreased individual leaf size, fewer leaves leading to less leaf area, and fewer tillers and branch lengths (Kakani et al., 2003b; Reddy et al., 2003; Zhao et al., 2003). Overall, these morphological changes result in a smaller canopy. Plant architecture is modified by UV-B radiation. When exposed to UV-B radiation, both attached and detached tendrils of pea plants form spiral coils. In addition, enhanced UV-B radiation causes increased leaf epicuticular wax and stomatal index, and reductions in thickness of palisade and mesophyll tissues without altering the thinness of the epidermal layers (Kakani et al., 2003b). Elevated UV-B radiation can delay flowering time in several different crops (Kakani et al., 2003a; Singh et al., 2008a). However, in some crops, UV-B radiation does not influence early bud or flower development, or the time to first flower (Sinclair et al., 1990). UV-B radiation does affect flower size, anther number, and pollen production, germination, and tube growth in many plant species (Kakani et al., 2003a). Cotton (Gossypium hirsutum L.) flowers produced on plants exposed to elevated UV-B were smaller due to reduced petal and bract size, and had fewer anthers (Kakani et al., 2003b). In general, reproductive organs of most plant species (pollen and ovules) are highly protected by sepals, petals, and ovary walls. In these plants, pollen is susceptible after it falls on the stigma. Exposure to UV-B radiation decreases pollen germination and rate of pollen tube growth by 10% - 25% in several crop species (e.g., maize, rye (Secale cerale L.) and tobacco (Nicotiana tabacum L.); Torabinejad et al., 1998). Increased UV-B radiation decreased total pollen production, pollen germination, and tube growth (Koti et al., 2004). Consequently, it affects the fertilization process, which results in fewer seeds in sensitive plants. However, once the pollen tube penetrates the stigma surface, the walls of the style and ovary may provide some protection against UV-B radiation. Growth is the rate of increase in weight and size of plant organs, such as leaf, stem, or root. Dry matter is the total weight of all plant organs. Exposure to UV-B radiation caused decreases in growth of leaves and stems in many plant species in both controlled environment and field studies (Kakani et al., 2003a). However, the effects of UV-B radiation on plant growth and dry matter accumulation were generally smaller under field conditions than under controlled environmental conditions (Caldwell et al., 1994; Olszyk et al., 1996). The decrease in growth of leaves, main stem, and branches is due to reduced cell division rather than decreased cell size. Reduction in plant height from exposure to UV-B is due in part to decreased levels of a growth hormone (indole acetic acid) in plants. The smaller and more compact canopy reduces the amount of UV-B intercepted by the plant, but also reduces the potential or total photosynthetic area essential for growth. The combination of these various factors results in decreased total dry matter or biomass production. In regard to exposure to UV-B radiation, the majority of crop species (60%) show a reduction in dry matter production, a moderate 24% show no change, and only 8% of crop species show an increase in dry matter production (Kakani et al., 2003a). 2.5 - 63 kJ m d simulating 10% - 50% of stratospheric O3 depletion. In addition, the variable responses can also be due to differences in responses of cultivar and crop species to UV-B radiation. Ultraviolet-B radiation also affects the quality of the economic product. For example, seed oil and protein content in soybean are reduced on exposure to UV-B radiation. Enhanced UV-B radiation decreased grain size and increased total nitrogen and storage protein (glutelin), thus affecting the taste of food products (Hidema et al., 2005). Similarly, Gao et al. (2004) investigated UV-B effects under field conditions and showed that increased UV-B not only decreased dry matter production and grain yield, but also affected grain quality by decreasing protein, sugar, and starch levels while improving lysine levels. Overall, studies conducted to date suggest that climate models predict UV-B radiation will decrease the growth, yield, and quality of crops (Hidema and Kumagai, 2006). or leaf expansion (11.2 kJ m d UV-B). The identified critical limits and algorithms are currently being incorporated into the mechanistic cotton model GOSSYM to predict yields under present and future climate change conditions across the U.S. cotton belt (Liang et al., 2008). The evaluation and understanding of the impact of UV-B radiation on yield and yield quality of economically important crops requires further study under both field and controlled environmental conditions. The knowledge gained should be incorporated into existing crop simulation models. The impact of elevated UV-B radiation on plant species is well understood, but knowledge of the effects of UV-B on insect pests and disease-causing pathogens (fungi and bacteria) is limited. Research conducted thus far has shown both a decrease and an increase in disease and pest damage in response to increased UV-B radiation. Effects of UV-B on diseases and insects could be attributed to direct effects on their growth and indirect effects through changes in tissue characteristics and/or composition. Caldwell et al. (2003) summarized the literature and concluded that higher levels of UV-B radiation generally led to less herbivore and/or reduced insect growth compared with lower levels of UV-B. The magnitude of the effects was sizable, with potential ecosystem-level consequences for species composition, organic matter decomposition, and nutrient cycling. Solar UV-B can affect insect herbivores through reduced growth, survivorship, and fecundity (Lindroth et al., 2000) through changes in leaf characteristics (appearance and composition). Insects can perceive UV-B (Mazza et al., 2002), modify their behavior to avoid UV-B radiation, and protect themselves by regulating their cuticular pigmentation to screen damaging wavelengths (Gunn, 1998). Studies demonstrated that thrips consumed less leaf tissue and Lepidopeteran larvae had lower survivorship in laboratory assay when fed on leaves grown under near-ambient solar UV-B compared with leaves from UV-B excluded plots (Mazza et al., 1999; Zavala et al., 2001). The lower larvae survival was attributed to higher levels of soluble phenolics and lower lignin content in the foliage exposed to UV-B radiation. Similarly, bioassay studies suggested that adult specimens of leaf beetles tend to preferentially feed on plants not exposed to UV-B if given the opportunity to choose between UV-B exposed and unexposed plant materials (Ballare et al., 1996). However, the impact of UV-B radiation on mechanisms of other behavior of adult insects, such as oviposition and breeding, that are more relevant under natural conditions are not well understood and need investigation. Ultraviolet-B radiation changes the chemistry, morphology, and physiology of plants. This can directly influence pest and disease incidence. For example, UV-B can affect leaf nitrogen content, available carbohydrate, and fiber (Zavala et al., 2001) indirectly influencing insect growth and survival. Plants exposed to UV-B can also stimulate production of secondary metabolites, i.e., phenolics and jasmonic acid (Mazza et al., 2000; Izaguirre et al., 2003; Izaguirre et al., 2007) which can influence insect incidence or behavior by acting as either a deterrent or attractant (Harborne, 1988). Some insects protect themselves from UV-B radiation by feeding on the underside of the leaves where UV-B penetration is lower (Paul et al., 1997) and avoiding areas of plants where defensive chemicals accumulate (McCloud et al., 1992). UV-B radiation effects on insect herbivores can also have consequences on parasitoids by affecting host quality (Soler et al., 2005) which leads to decreased survival and growth of parasitoid larvae (Holton et al., 2003). (Fourtouni et al., 1998). In contrast, several pathogenic fungi (e.g., wheat leaf blotch causing fungi (Septoria tritici)) exhibit reduced infection under UV-B (Paul et al., 1997). In general, increasing disease severity primarily involves modification of host plant tissues, whereas decreased severity appears to involve either host plant changes or direct UV-B damage to the pathogen (Caldwell et al., 2003). Despite linkages between plants and herbivores, limited information is available on impacts of UV-B on host plant-insect interactions. A more definite understanding of the effects of UV-B on diseases and insects is needed to accurately predict consequences of ozone depletion on plant ecosystems. How ultraviolet rays damages the chloroplast? What are effect of UVB radiation on plant tissue, growth? What organelles change when plants are exposed to radiation? How uv radiation affects plant growth? What is the effect of u.v light on plant development and fruit production? How uv radiation affects plants? How UV radiation reduces internode length?